Do you have a Google Virtual Tour for your venue? If not, you should and I’ll show you why! When was the last time you Google searched the name of your venue? I want you right now to go to Google and type in the exact name of your venue and then come back. Do you notice the section to the right? All that information is pulled from your Google Business Page. 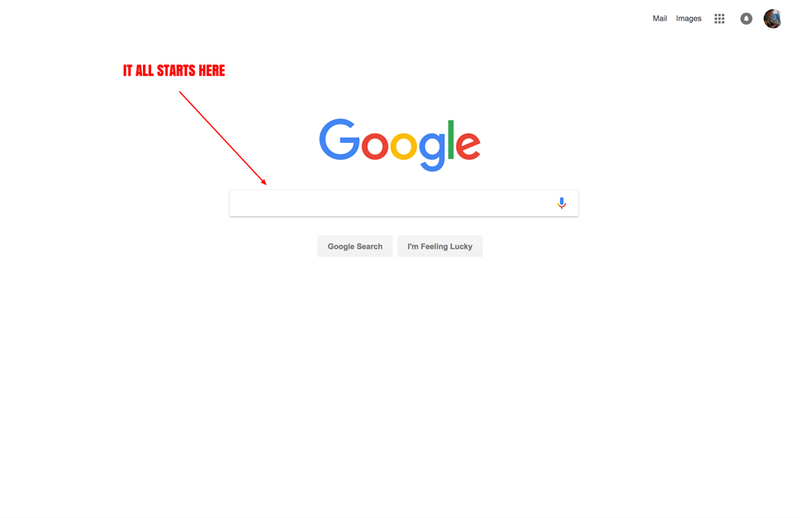 People see this 24/7 on Google when your venue’s name is searched. This is your space, and you want to own it and use it to its fullest potential for your online marketing, don’t you? Of course, you do, and that is what I provide. It’s more than just a virtual tour! I will help your venue stand out in Google search results. You’ll be surprised how many tools Google offers which venue marketing managers neglect. unwanted photos and logos that are poor quality or not the right ratio. In most cases, there are images like the “LOOK OUTSIDE” section which usually are of a truck or other obstruction blocking the view outside your venue! I remedy all possible issues with your Google Business Page and add the FINAL TOUCH which only Google Trusted Photographers can do, publish a Virtual Tour. With that, your venue will be using all the Google Business Page features which Google offers to your venue to stand out in search result sand get found by prospective clients. What does this all mean? Your Google Business Page will rank higher, over your competition, stand out in search results and you will improve your websites SEO as a result! Why should you care about me going through a point by point checklist for your Google Business Page? Simple and one any marketing manager will understand, SEO. You want ALL your content to be properly indexed with Google! Do all the blogging, outbound linking and social media posting, it won’t matter as much as taking care of all aspects for your Google Business Page. This is the low hanging fruit that ALL venue marketing managers should take but often than not, don’t. 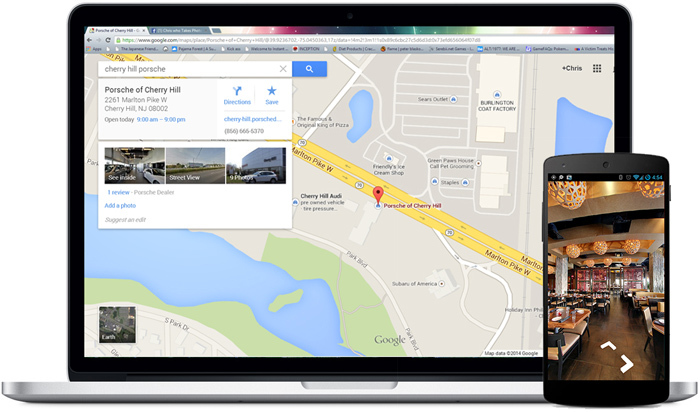 With a Google Virtual Tour, your venue will stand out from a sea of competition in the Search Engines. Not convinced that users want this maybe because you think you wouldn’t use it? Let me share some amazing statistics from Google. Read white paper for the stats which I paraphrase below. Google continues to DOMINATE market share for online searches. This is where potential clients go to find venues like yours and or YOUR venue specifically. When they search for your venue specifically, they will see your Google Business Page; there they will be able to access the virtual tour. Interested searchers then click on the “See Inside” image and they are taken inside your venue! Now the engaged prospect gets to experience the venue first hand with an ultra high definition virtual tour. This builds confidence in the prospect and helps the venue stay top of mind during the research stage of choosing the right venue for the special event or wedding. These tours can even be embedded in the venue’s website for free! Pricing usually starts at $600 for venues. 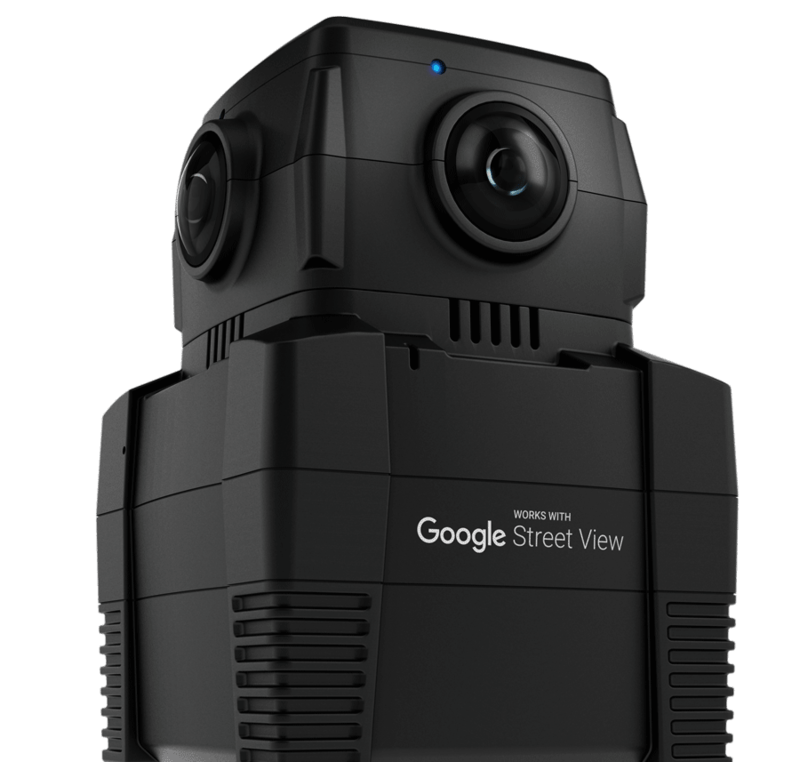 The iris360 is the only automatic spherical camera approved by Google to be used for their Street View Platform. With the iris360 I can capture and deliver a huge 8K resolution, HDR panoramic image. The result is a stunning real life virtual tour of your venue location. The future of imagery on facebook and it’s multiple apps is in 360 photography. Not only do we take the highest quality 360 panos, create a virtual tour and publish it to Google’s index but we also provide you with all the panos in a format you can use to post on your venue’s Facebook page. Click on the image of the bar for an example. Apart from taking 360 photos I also take amazing shots of the venue. I select the best shots and professionally touch them up with photo editing software. 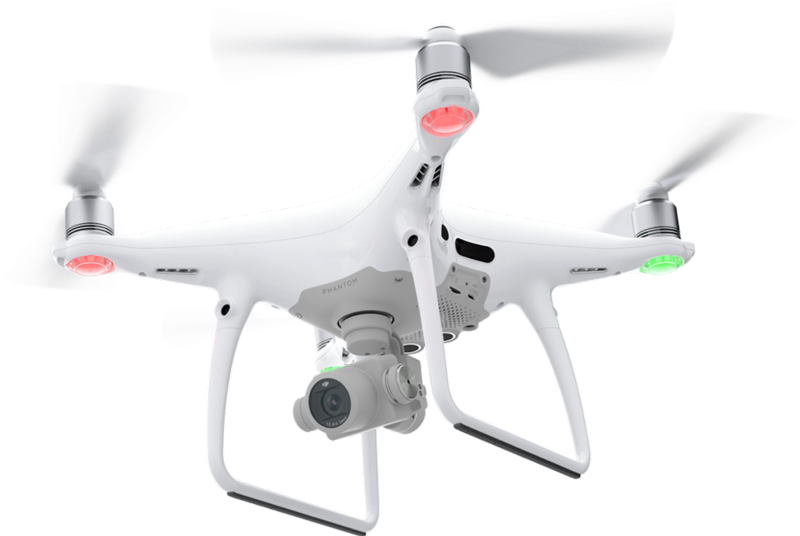 My Phantom 4 Pro+ is the drone industry’s top choice for professional videography and photography. It has a 1-inch 20-megapixel sensor capable of shooting 4K/60fps video and Burst Mode stills at 14 fps. The results are stunning videos and amazing aerial photos. If the venue has high ceilings and a wide open space we may be able to shoot indoor drone photos and videos. For exterior photos and videos would depend on the location of the venue. All someone would need to experience your Custom Virtual Tour Website would be to have a simple $15 dollar VR Headset. From there, the user could be complelely immersed in your venue. Moving from pano to pano simply by looking at the area. We consider our experience of a Virtual Tour Website to be the standard for VR experiences. All of this is included in your Custom Virtual Tour Website. How Can Google Indoor Street View Help My Venue? 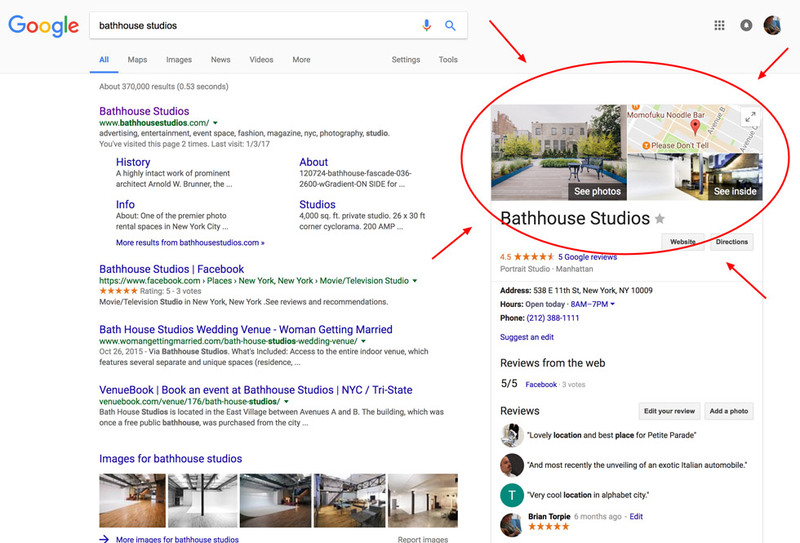 When potential customers search for your venue by name on Google Search and Google Maps, they will see your Business Google Virtual Tour directly on the search results page next to your map and photos (CLICK HERE for a live example). 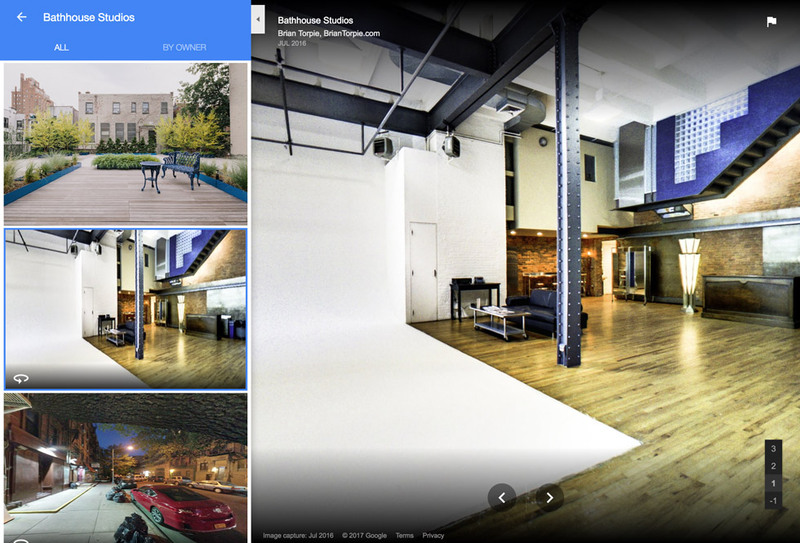 Your Business Virtual Tour will also be published on your Google+ Business page, Google Maps (CLICK HERE for a live example) and other Google properties and give your customers a better sense of the layout, decor and design of your venue’s interior. Simply click the ‘Get A Free Consultation‘ Button and complete the information. I (Brian Torpie – a Google Trusted Photographer and Google Partner) will call you back shortly to get information from you. Then we can schedule a convenient time (it is best to shoot before or after hours or on a day that the business is closed) and I will come to your venue, further answer any questions and get the shoot done in a timely manner so you can continue with business. In most cases, a photo shoot will take about an hour and a half, but this varies depending on the size of your venue. Once shot, I can edit, stitch, and make the photos public within 5 business days. You will have complete ownership of the work. You’ll get all the originals and edits of the 360 panos and unlimited rights to distribute your tour and 360 panos any where on the web. Photo shoots will include the main customer-facing areas of your venue. We can work together to determine what areas of your venue you would like to highlight, or even exclude from the 360 panos. The goal is to show customers what they would expect to see if they visited your venue on a normal day. You will want to “stage” the areas to be photographed. Clean and arrange the area so that there are clear pathways, and remove any items that you do not want the public to see. Yes, I encourage you to share the walk-through experience of your venue with your customers. We’ll provide you with the code snippet which you or your webmaster can add to the website in order to display your Virtual Tour to website visitors. We also provide additional services in which we can embed it for you or even make a custom Virtual Tour website for a more tailored experience of your 360 panos.